Your home is where you want to feel comfortable and secure – and nothing sets you on edge quite like creepy crawlies lurking around the house. Bugs can compromise hygiene, cause irritation and illness, as well as just being plain unpleasant to look at. If you have a significant pest problem, then you should absolutely opt for a professional pest control service as offered by the Brisbane experts at AGJ Pest Management. However, we thought we’d put together a guide of DIY advice to help keep the critters at bay. Checking your home regularly is step one to keeping bugs and pests at bay. Check in corners and under furniture for dead insects or faeces (cockroach faeces resembles cracked black pepper). Check for ants and where they’re coming from. Be aware of strange sounds in the walls or in the roof or in the pantry – where bugs might be attracted to food. Also be aware that most bugs prefer warm, moist conditions – so be particularly vigilant in checking any areas of your home particularly prone to humidity. To prevent cockroaches infesting your home it pays to be on the front foot. Clean your house and make sure it stays clean. 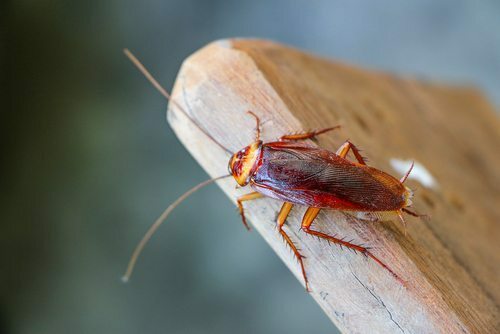 Cockroaches are attracted to food, and especially sugar – so be sure to keep your dishes clean and especially to not leave them unwashed over night. Seal cracks in your pantry or in your walls that cockroaches might gain access through – and take care of any leaking water – as moisture attracts cockroaches. Mix together baking soda and sugar and leave it for them – sugar attracts cockroaches and baking soda destroys their immune system. This is also a safer option than poison solutions when you have pets or children around. Bay leaf – cockroaches are repelled by the odour of bay leaf, so crush up the leaves and disperse it throughout the house. The smell will force the cockroaches away, and also has the advantage that you won’t have to clean up their dead bodies afterwards. Bed bugs are the worst for causing ongoing irritation and discomfort. They linger in fabrics and are often hard to spot. They feed on human blood and while not posing a serious health risk can leave nasty rashes, itchiness and irritation. Be particularly aware of potentially bed-bug friendly locations when travelling (like cheap motels) and run your clothes through the dryer at home when unpacking. Borax powder may also be needed to kill them. Be wary of second hand furniture and especially second hand mattresses. These are an easy way of letting bed bugs into your home. Keep clothes off the ground – little critters will creep into them, and you’ll notice allergies and itchiness flaring up. AGJ Pest Management want your home to be as comfortable as can be. If you have a pest problem, let us sort it out for you today! And be sure to keep up to date with the latest pest control news on our blog!